In remembrance of Corporal Arlie M. Jones, Corporal Abel M. Marquez, and Corporal John Scott Gardner and the sacrifices they made on 09/08/2007. 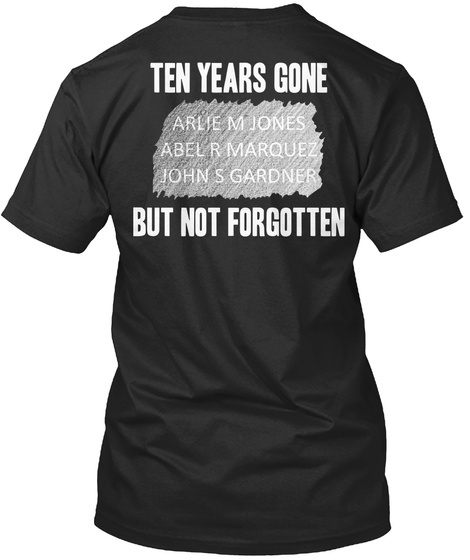 These shirts perpetuate the memories of these Odessa Fallen Heroes. 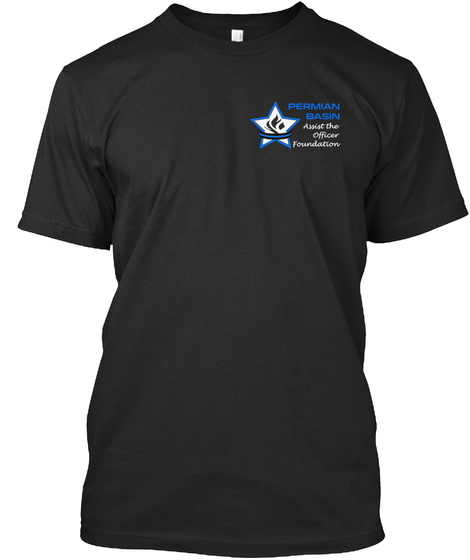 Proceeds will go towards the newly developed Permian Basin Assist the Officer Foundation (PBATO), formerly known as the Odessa Peace Officers Memorial Foundation, operated through the Professional Police Officers Association of Odessa (PPOA). Background of the Design: The pencil rubbing represents the names of Arlie, Scott, and Abel as they appear on the National Law Enforcement Officers Memorial in Washington, D.C. The Memorial honors federal, state and local law enforcement officers who have made the ultimate sacrifice for the safety and protection of our nation and its people.